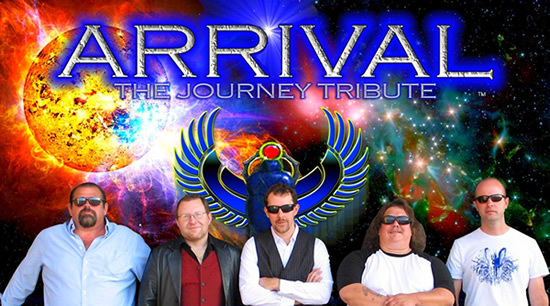 ARRIVAL - THE JOURNEY TRIBUTE, the Midwest's premier Journey tribute rock band, set out to re-create the music of the legendary powerhouse rock band, Journey! With their love for this music, the band members put their heart and soul into every performance, living up to their name, and quickly want to become a must see/must have band for fairs and festivals, clubs and bars, private parties, community concerts, and corporate events! ARRIVAL - THE JOURNEY TRIBUTE will get your blood pumping to Journey classics like Stone in Love, Separate Ways, and Don't Stop Believin! Sing along or dance to the power ballads you never forgot the words to like Faithfully, Lights, and Open Arms. ARRIVAL - THE JOURNEY TRIBUTE takes you on a live musical roller coaster ride of Journey's timeless hits from the 70's, 80's, 90's & today! 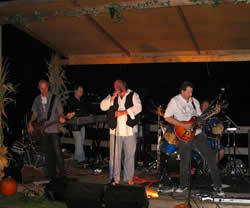 The band is made up of six seasoned veterans of the Cleveland rock scene. Each band member has mastered his craft to bring you the most amazing replication of Journey's sensational sound and will surely make you feel like you’re at one of Journey’s live concerts. Whether you're in the mood to dance or just sit back and enjoy a great show, you'll be sure to go away humming one of your favorite Journey songs! 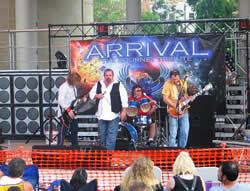 Arrival is one of the best Journey Tribute bands in the country!! Call Conn Entertainment at 216.849.3545 today to book this "fab-U-less" Act! 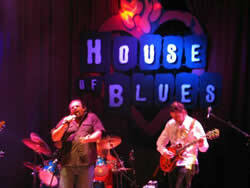 Tags: live band, cleveland bands, tribute band, Arrival Band, Journey tribute band.